The Bible can be intimidating for teenagers and disconnected from their everyday life. 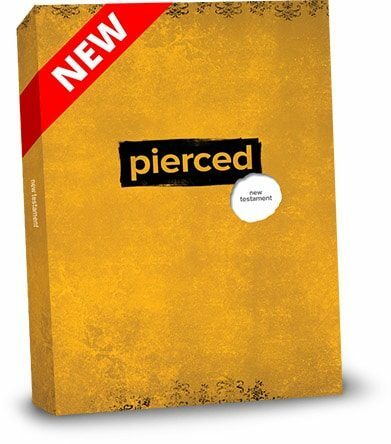 In Pierced, they'll be immersed in a narrative version of the New Testament that reads more like a regular book, filled with the artwork, and real-life “margin notes” and highlights, of teenagers from all over the world. In Pierced: The New Testament, they’ll discover a narrative version of the New Testament that reads more like a regular book, and is organized to make better sense. Every book is introduced by original artwork created by teenage artists. And every book includes the actual scribbled notes and highlights and questions that teenagers have written in their own Bibles. Students join their conversation as they read, with space throughout to add their own voice. The story of Jesus is piercing, and will pierce them, as they follow his narrative all the way to his heart. Pierced serves as an open door for teenagers to no longer avoid Scripture. This New Testament narrative immerses readers into the greater story of Jesus through an intentionally simple yet personal design. Contextualized for youth from Biblica's The Books of the Bible, which strips away centuries of added formatting included in most modern Bibles, Pierced reads more like a novel than a textbook. Our design team recruited teenage artists from around the world to add their own unique artistic “translations” of each book of the New Testament. Styles of artwork are as diverse as the students themselves, all delivering a powerful depiction to propel readers forward through the piercing story of Jesus. Our editorial team recruited 10 teenagers from all over the country to add their raw, authentic voices to the pages of this New Testament narrative. 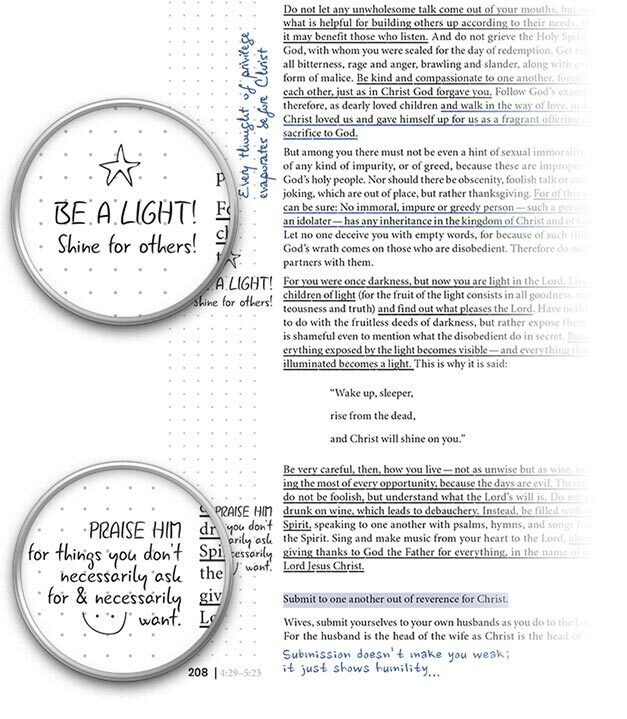 We asked them to send us their own marked-up Bibles, then copied all of their margin notes, highlighting, and underlining and transferred them verbatim into the pages of Pierced. Each of our contributors is represented by a distinct typestyle that help individual scribbles stand-out. Readers are invited into a conversation with friends about the most important truths that guide our lives. Journaling space that completes the conversation. A stripped-down design that takes away the intimidation factor in reading the Bible and from carrying it to class.